This article was sponsored by iD Tech Camp in Seattle, but all opinions are our own. We’re big STEM fans over here; one of the kids is always working on a fun or quirky science experiment, or just geeking out in front of our computer. So, when my kiddos asked if they could check out a STEM summer camp this year, it seemed like a perfect fit. We wrote about iD Tech last year too – See our full iD Tech Camp review here. There are a lot of choices, but I was looking for something that’s fun, well qualified, and above all well rated. 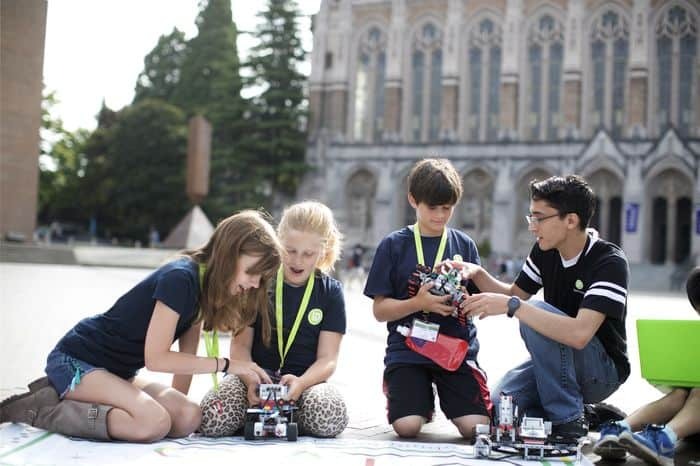 Enter iD Tech summer camps. The iD Tech camps are aimed at students aged seven to 18, which is perfect for our nine and 12 year old. 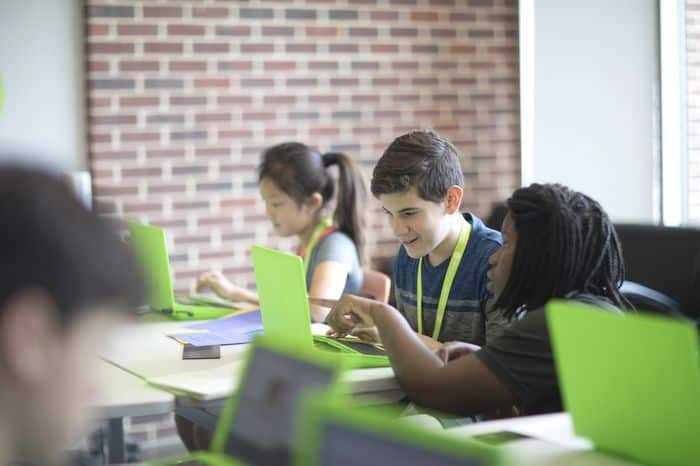 I love that so many of the iD Tech camps are designed around interests our kids already have, like designing video games, making Minecraft mods, and even creating with Roblox. What’s even cooler is that the camps can let our kids try out fun new skills like working with AI, building laptops, and even printing 3D characters. For those of us closest to the Seattle, Tacoma or Eastside region, classes are held through the University of Washington. If you’re not in the Northwest, that’s OK too, as there are over 150 locations nationwide, including Stanford, Princeton, MIT, Caltech, Harvard, and others. That’s a pretty impressive list! There are over 350,000 alumni from iD Tech camps across the USA. Here’s a quick peek at some of the most popular programs. The namesake flagship iD Tech Camps are made for kids aged seven to 17. There’s a lot of of fun to be had here, including coding, game development, robotics, and design. These are week long camps, with day and overnight options. Since we have a very inquisitive almost 10 year old daughter, the all-girls Alexa Café program really sparked our interest. It’s designed for girls aged ten to 15, and offers a unique blend of tech, entrepreneurship, and social activism. Girls can design a mobile game, engineer wearable electronics, code an app for charity, and even more. The Alexa Café camps are week long camps with day and overnight sessions. Alexa Café was launched in 2015, and it’s now the USA’s largest tech camp for girls. iD Coding & Engineering Academy is designed for boys and girls aged 13-18. My 12 year old is just about old enough for this, and I think he’d love it. The iD Coding & Engineering Academy is an immersive, teen-only experience. Students choose from intensive courses in machine learning, cryptography, game programming with C++, robotics engineering, and more. These are two week, overnight sessions. iD Game Design & Development Academy is also is designed for boys and girls aged 13-18. This is focused on an immersive experience, where kids become a 3D modeler, gameplay programmer, or level designer. In this session, kids learn the full cycle of game production, and discover how to turn a love of gaming into a lucrative career. These are two week, overnight sessions. What should you look for in a summer tech or STEM camp? There are a lot of factors that go into picking a summer camp. First, is location. Since iD Tech has 150+ locations, that one’s pretty easy to fit. If I’m going to pay to send my kids to a week long camp, I want to know that it’s a reputable place, and that my kids are going to learn something. iD Tech’s been in place for 20 years, with 350,000 alumni. Plus, they partner with biggest names in tech like Adobe, Android, Autodesk, Microsoft, and Unity, and their location line up has included UW, Stanford, MIT, Princeton for nearly two decades. That’s pretty impressive. There are over 50 summer courses (plus year-round online private lessons), meaning that there are plenty of opportunities for my kiddos to find a course they like. While I want my kids to learn, I also want them to have fun. Camps include raffles, fun dress-up days, outdoor activities (I love to see that they’re getting some exercise! 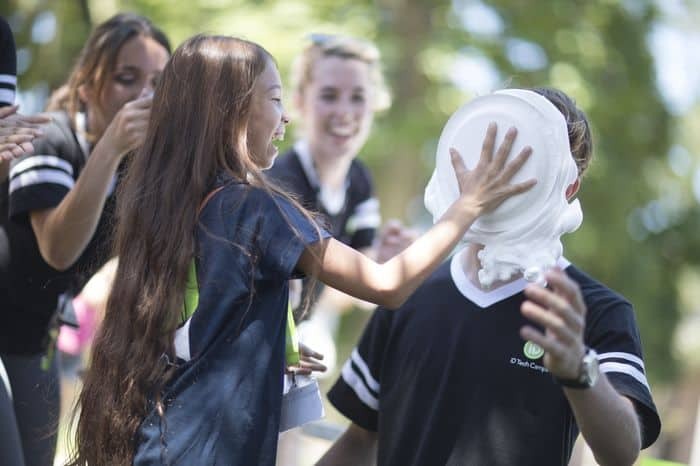 ), gaming tournaments, music video parodies, and even pie-your-instructor Fridays. Now that’s a great way for your kids to learn, have fun, and even blow off a little pent up energy! I’m also interested in finding out about the qualifications of teaching staff, and student teacher ratios. iD Tech recruits from universities like Stanford, RIT, Caltech, and MIT. There are only five to ten students per instructor (with a maximum of ten), letting beginner to advanced students enjoy personalized learning at their pace. iD Tech alumni often go on to launch startups, found nonprofits, and land dream jobs at tech powerhouses like Google and Facebook. 10%, or 7,000, of our seats are reserved for underprivileged students to help bridge the digital divide. Find out more here. Interested in checking out iDTech for your kids? We have a great deal for our readers. Use code PARENTSPOT18 and save $75 off the price of iD Tech programs until May 31, 2018! 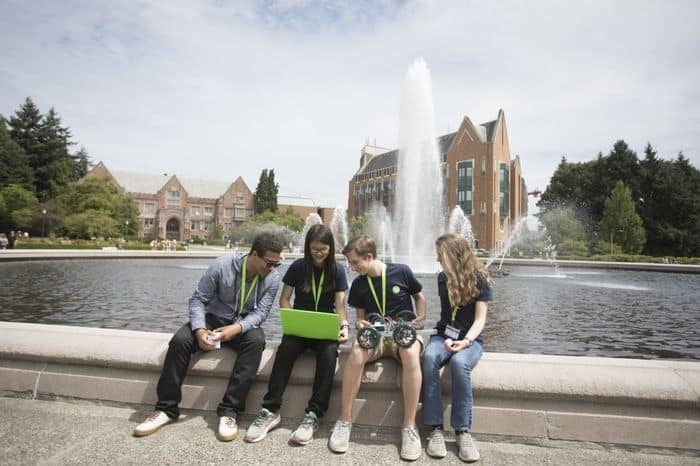 The code’s good whether you choose iD Tech Camp in Seattle or any other region! These are for sure great tech camps as children can learn a lot.